What's More Glorious Than HD Final Fantasy VII? Paper Final Fantasy VII. Because paper is awesome! 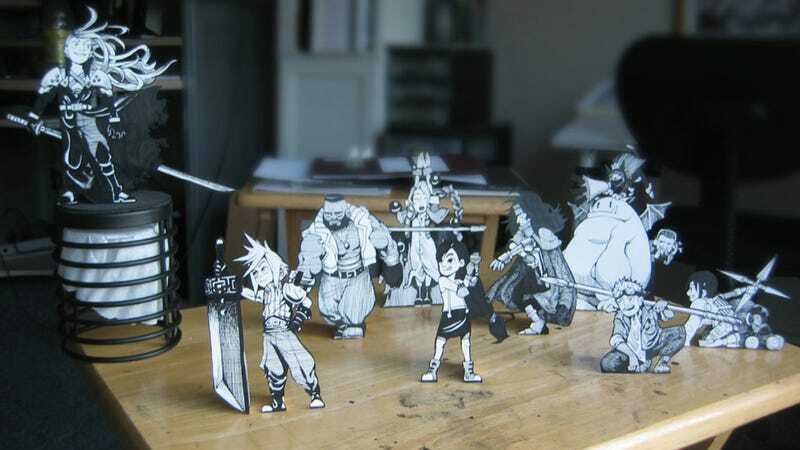 Comic artist George Alexopoulos turns role-playing game Final Fantasy VII into adorable 2D paper figures. Previously, Kotaku posted his Zelda and Mega-Man doodles, which were just as darling, if not more.